Round by round, we will be reproducing the 2015 Christmas Quiz, for those who could not make it. 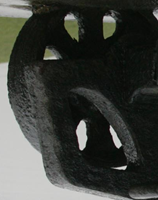 Here is the second of the picture rounds, plus below, you will find the first of the picture rounds, the anagrams round and the four main rounds, together with their answers. And remember…. using new fangled devices to source the answers is not permitted !! How many days did Collingwood serve in the Royal Navy? How many nautical miles distant is Gibraltar from Cape Trafalgar? How many London Transport bus routes run through Trafalgar Square in London? 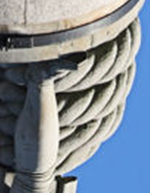 Considering the statue part of the Collingwood Monument at Tynemouth (ie the upper section), in centimetres, how tall is it? Collingwood was of course famous for his attention to gunnery skills. If you take all of the guns on all of the ships on which Collingwood sailed in his naval career, what is the total number? Each of the anagrams below has a legitimate connection with our Admiral…. 1) What was Collingwood observed to be calmly eating, as he paced the quarterdeck during the battle of Trafalgar? 3) Why was HMS ROYAL SOVEREIGN so far ahead of any other ship into battle at Trafalgar? 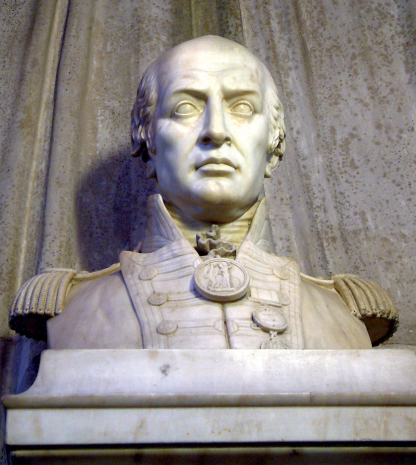 4) Between 1818 and 1822, of which South American navy did Admiral Thomas Cochrane serve as Commander in Chief? 5) When was the Collingwood Monument at Tynemouth completed? 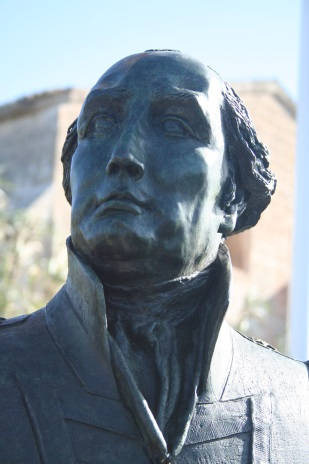 6) What was the name of the commanding French Admiral at Trafalgar? 7) What was the name of Collingwood’s flagship, onboard which he died in March 1810? 8) What is currently the oldest warship afloat, anywhere in the world? 10) In terms of guns, which was the smallest ship that Collingwood commanded? 11) In Collingwood’s time, how many years did a Midshipman have to serve before he could sit his Lieutenant’s examination? 12) Which ship at the Battle of Trafalgar had more north-east seamen than any other? 3) Because her copper bottom had recently been cleaned and she could go no slower! 7) HMS VILLE DE PARIS. 8) HMS TRINCOMALEE – trick question – USS CONSTITUTION IS IN DRY-DOCK UNTIL 2017 (valid question at the time of the quiz). 9) Yeoam of the Powder Room. 1) From which ship was the musket ball fired which killed Admiral Nelson? 2) Who is the author of the ‘Jack Aubrey’ series of maritime novels? 3) What was the name of the wife of the Commissioner of English Harbour, Antigua, with whom both Collingwood and Nelson struck up lasting friendships? 4) What name is given to the guns mounted to fire backwards, either brought down in times of need, or left permanently in the cabins at the stern, covered up and used as part of the furniture? 5) Which great sea battle took place on 14th February 1797? 6) What seeds did Collingwood regularly scatter about Northumberland? 7) HMS COLLINGWOOD, located at Fareham in Hampshire, is the home of the MWS. What does this stand for? 8) Cuthbert Collingwood was married to Sarah Blackett. What civic role did her Father perform? 9) What was the name of the regulating Captain in Charge of the Press Gang in Newcastle after 1763 and to whom there is a plaque in St. Nicholas’ Cathedral? 10) How many times in his career did Collingwood face a Court Martial? 11) With which Spanish ship did HMS ROYAL SOVEREIGN duel for most of the battle of Trafalgar? 12) Which column did Collingwood lead at Trafalgar? 5) The Battle of Cape St. Vincent. 8) He was Mayor of Newcastle upon Tyne. 1) How did Collingwood’s faithful canine companion ‘Bounce’ meet his end? 2) What was the name of Cuthbert and Sarah’s second daughter? 3) Which ship did Collingwood command at the battle of Trafalgar? 4) Which eye did Nelson lose at the battle of Calvi? 5) In 1903, HMS TRINCOMALEE became a training ship and was renamed. What was her new name? 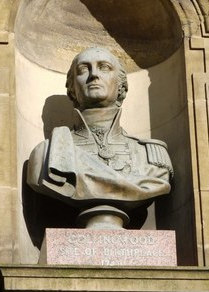 6) In which church is Admiral Collingwood buried? 7) In which street in Morpeth did the Collingwoods take up residence? 8) What was the name of the frigate that brought Collingwood’s body back from Gibraltar to England? 9) How many men would you normally expect to find crewing a 32lbr gun on a man-o-war? 10) Who conveyed the reports of the battle of Trafalgar to the Admiralty in London? 11) What was Nelson’s daughter called? 12) Who was the Captain of HMS VICTORY at the battle of Trafalgar? 1) He fell overboard at night. 3) [trick question ] None. He flew his falg in HMS ROYAL SOVEREIGN but was not its Captain. 12) Captain Thomas Masterman Hardy. 1) In which present day European country does Cape Trafalgar lie? 2) What was the surname of Collingwood’s gardener, with whom he was discovered in the bottom of a trench in his garden at Morpeth by a visiting fellow Admiral? 3) Which monarch was on the British throne when Cuthbert Collingwood was born? 4) What was the name of Collingwood’s seagoing brother, with whom he joined HMS SHANNON in 1761? 5) What was the Christian name of Nelson’s wife? 6) On which street in Newcastle was Collingwood born? 7) Near which Northumberland town is the ancestral home of Admiral Robert Roddam? 8) As a result of what action was Collingwood commissioned as a Lieutenant? 9) What is the name of the famous Headmaster of the old Grammar School associated with Collingwood’s time at that establishment? 10) Complete this famous quotation, being the words of Nelson at the beginning of the battle of Trafalgar: “See how that noble fellow Collingwood takes his ship into action…. 11) How did Collingwood wish his daughter Sal to be able to swim, as described in a letter to Dr Carlyle from HMS EXCELLENT in 1795? 12) In which church is Sarah Collingwood buried? 8) The Battle of Bunker Hill. 12) St. Nicholas’ Cathedral, Newcastle upon Tyne.